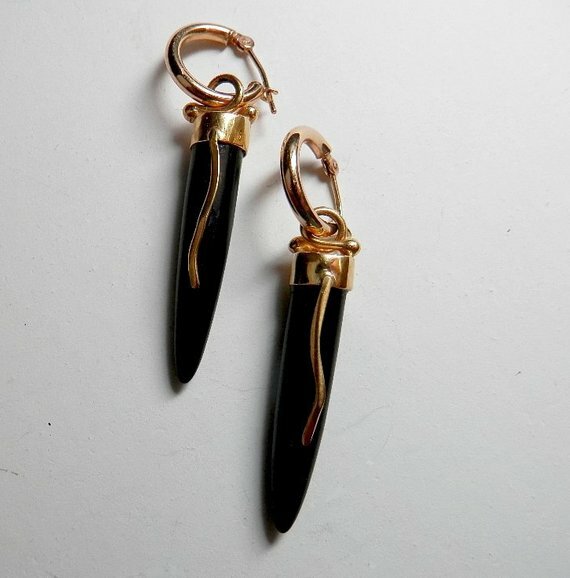 18k Gold and Black Onyx Handmade Earring Drops on 12mm 14k Gold Hoops. 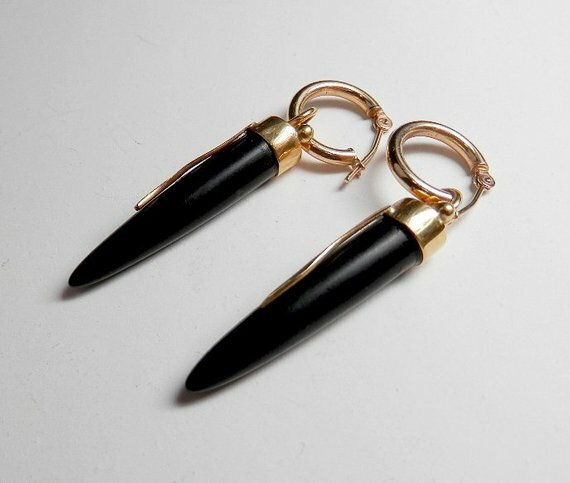 These Beautiful and sophisticated 12mm hoop earrings in 14k yellow gold features a pair of long bullet matt finish black hand made onyx drops set in 18k yellow gold with 18k yellow gold accents. The earrings are signed and simply stunning! 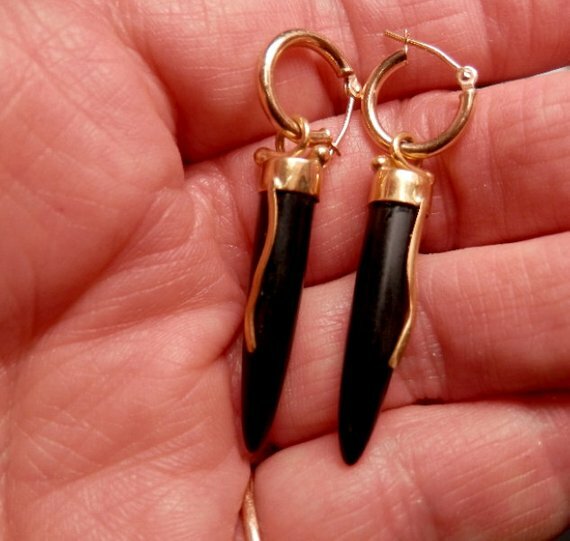 Measuring a total of 1 3/4" in length from the ear wire to the tip of the onyx dangle they are as comfortable to wear and they are too look at. 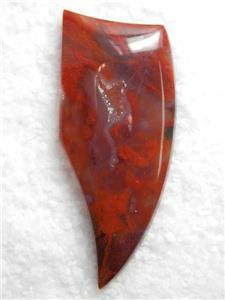 Thank you for looking and as always, buy with confidence!